PBS Ombudsman Michael Getler agreed with conservative letter-writers that the NewsHour covered Climategate “lightly and well after the fact,” even though he expressed the standard liberal belief that the “overwhelming” evidence is on the man-made dramatic warming side, and there’s a “danger of establishing false equivalence” — in other words, the liberals have more truth on their side. DALLAS — A Houston lawyer will serve as a court-appointed ombudsman to monitor a venerable Texas company that has been cited for discriminating against black employees…. The plaintiffs’ attorney, Tim Garrigan of Nacogdoches, said the appointment of an ombudsman is significant. News judgments are incredibly difficult when dealing with a situation such as the Woods melodrama. Do too little, and ESPN is accused of covering up. Do too much, and it’s perceived to be character assassination. ESPN’s handling of Woods on “SportsCenter” and other news and opinion programs can be debated, but it appeared the network tried to walk the line between satisfying the audience’s inquisitiveness about the self-destruction of arguably the world’s most famous athlete and trying to avoid the trap of sensationalism. There were exceptions, but in general the network covered problematic subject matter seriously, avoided rampant speculation and provided context. …Some of ESPN’s coverage decisions — such as playing the 911 call about Woods’ mother-in-law fainting, using a quote on The Bottom Line from one of Woods’ neighbors that left the impression the golfer was drunk, and relying on the National Enquirer and TMZ as sources — should raise eyebrows. Read the full article [here] (note, I added the bold). Stephen Colbert announced Thursday he’ll travel to Richmond to accept the city’s offer to become the official Richmond Olympic Oval ombudsman during the 2010 Winter Games. “I have no idea what an ombudsman is, but as long as it requires no effort from me, I proudly accept,” Colbert told his TV viewers. The Victorian Ombudsman has tabled a highly critical report about the handling of drug exhibits at the Victoria Police Forensic Services Centre. …The report, tabled in State Parliament today has found that mismanagement and a lack of accountability create an environment in which corruption may go unnoticed. The report says for the last 15 years, there has been no full independent audit of drug holdings at the Victoria Police Forensic Services Centre. I wrote earlier this week on this topic, read the post [here]. Recently the United Nation’s Security Council announced it will created an Ombudsman Office. This position is being created specifically in response to concerns over its own No Fly List. Creation of the Ombudsman Office was passed unanimously by the Council and the position will initially be created for 18 months to assist the sanctions committee to review the procedures regarding delisting individuals on the list. The United Nations currently has an Ombudsman Office which serves the employees of the UN. You can read more about that office, and John Barkat, the current ombudsman, [here]. Note, their site is newly re-designed and you will notice the UN has created a new Mediation Division with the Ombudsman Office. The office was created in August 2009 as per the passing of General Assembly resolution A/RES/62/228. You can read more about the new Mediation Division and its services [here]. Read the full CBC article [here]. I am not sure how many people know about CyberSettle, but it is an online based company whose software program allows two parties enter the amount they are interested in either trying to get the other party to pay or the amount they are willing to pay. The program lets them know when there is match and bam- a deal is made. According to the NYC Comptroller’s officer, in about a four year period (February ’04 through June ’08) over 3,000 claimscases were settled using the CyberSettle site. This service helps New York City expedite claims against the city. That’s the good new, however another way I see it is the process narrows the entire dispute to simply money. No interests, no feelings or emotions, no apologies, and empathy. Some would say who cares because it makes the process quicker and cheaper. That all said, I think the service is a viable form of ADR and it does give people another option compared to the traditional ADR approach or litigation. There are some impressive statistics in the article. For example, a case using CyberSettle takes between 6-12 months while those which do not take an average of 4 years. Yes, 6-12 months compared to 4 years! Read the press release [here]. The Fall 2009 edition of the Werner Institute Newsletter Win-Win recently was published and I am grateful to them for mentioning my blog. 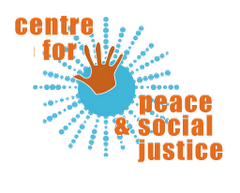 Have a look at the newsletter [here] to read it. The newsletter is created and distributed each semester and will highlight the news and events of the Werner Institute and it’s community. You can learn more about the Werner Institute at Creighton University [here]. Interested in leaving emotions out of your mediation or negotiation? Go ahead mate- let me know how that works out for you! Beyond Reason many times and consider it a vital reference tool for preparing for mediations as well as designing any training program I put together. Appreciation: This is achieved when you understand the other’s point of view; finding merit in their thoughts, feelings and actions. Oh, and don’t forget to appreciate your thoughts, feelings and actions too! Affiliation: As the mediator or negotiator, building connections between the two parties helps build rapport and accumulate yeses. Accumulating yeses is a good thing. Why, it helps build rapport. Yes, I just went in a circle and the point is rapport and yeses helps bring parties closer towards working collaboratively and not seeing each other as an adversary. Autonomy: Very simply, everyone like being part of the decision process and not being told what to do or be given the answer or solution- even when you think it’s the best solution. Status: Acknowledge people’s status- be it their title at work, in their community, or in the family. I am not saying let it dictate terms or unbalance the playing field but acknowledging people’s status can help the other side move forward in a positive manner. Role: Include them in the process! Yes, this is very short and simple for a reason. Listen to the audio link, why bother reading my words when you can hear the author?! I hope it helps you as much as it has helped me. For those looking to get gifts for someone this holiday season, here’s some suggested items that I think possibly will bring a smile to that some-one-special’s face! Hey, that someone special can even be yourself! I use malas to mediate daily. Yes, they are Buddhist tradition based, but I know plenty of people that are not Buddhist and use them to mediate and prayer in their respective language/religion. I often tell people during trainings that an effective skill to communicating is listening and breathing. Well, this mala has helped my often! Plus, you can custom make a mala there as well. 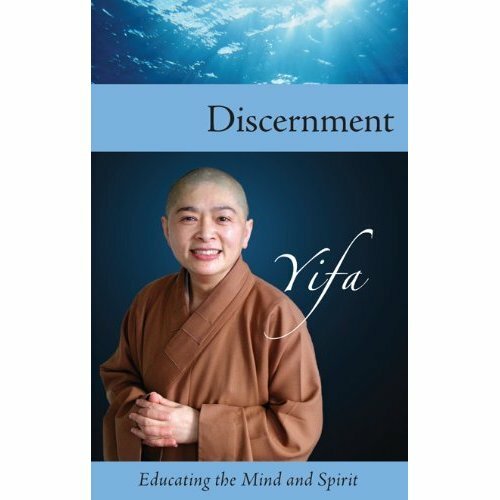 Discernment—the quality of mind that analyzes and perceives accurately the nature of something and then forms a thoughtful and accurate judgment about it—is not something chanced upon or casually adopted. Discernment is a facet of the mature person, of a certain temperament, who can see through the superficial and illusory to the heart of the matter. While relying, to a certain degree, on innate intelligence and curiosity, discernment needs to be cultivated. It requires discipline and education. Buy it [here] among many other places. For when you run out of money from visiting Australia just for a Flat White (what’s a flat white you ask?? read here), or going broke from visiting Starbucks too often for lattes, you can now froth your milk at home with ease! Note, this is not the one I have but it looks pretty similar. Mine works great and really impresses people when they visit my place (so what if it’s only once a year!). Read more and possibly buy it [here]. John Wade, and the brilliant team at Bond University’s Dispute Resolution Centre, have a wonderful collection of “Q-Cards” which are great little golden nuggets of information to help all dispute and conflict specialists. The Q Card series are all the business card size so very convenient and easy to take with you. Learn more about the Dispute Resolution Centre at Bond University [here]. Only 3 things matter- preparation, preparation, preparation. You see, real estate is not the only field with a saying that is redundant! I often incorporate this into many of my trainings and the redundancy really drives home the point of how crucial preparing is. Preparing includes not only for the specific case itself, but in certain situations, like community mediation centers and in some courts, as a mediator, you will not get your case folder until minutes, even seconds, before the case starts. Preparation can still be done here by going over your opening statements and preparing the room and notes. Try to identify each person’s concerns, goals and priorities. Keep revising these lists. I like to note here the second part- revising. Just because you made list does not mean it cannot be altered. Even Santa checks his list more than once. The right offer at the wrong time is the wrong offer! Timing is everything. Most times, jumping to offers right away can be the wrong move. Begin Politely; with clear words. Set the tone and treat others the way you want to be treated. Also, this helps build rapport. Beware threats unless you intend to carry out the threats. There’s nothing like losing credibility by saying something like, “That’s the offer, if you don’t take it, we’re leaving,” and then not leaving. If a strategy is used against you, name it (“So is this an ambit claim?”). This is good, but also keep in mind to use it if that is the path you want to go down. Sometimes you do have to call it out, just be prepared for possible responses. Also, note, you can name it will declaring. the example given is done in the form of a question- not a declaration. If a mistake is made, clarify and apologise immediately. Doing this not only promotes honesty but also helps build rapport. Take Breaks. Yes, I am known to work long hours (nothing like brainstorming at 3am!) but even I realize the powerful affect a break can have. Sometimes it can be used to just get fresh air, have some tea or coffee or to ease tension. Identify which goals you must gain; what can be given up. It’s could negotiating for a reason. Odds are you will not get everything you want. Looking at interests can help explore options that you thought might not have been available. Think money disputes and payment plans instead of all at once. 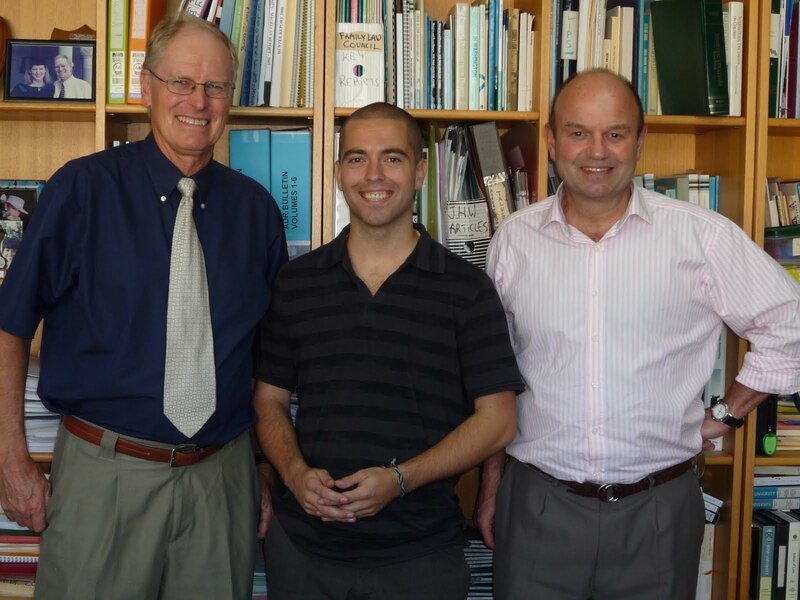 Note: pictured above, from left to right- John Wade, Jeff Thompson and Kiwi Mediation Extraordinaire Geoff Sharpe. Vote For Mediation Channel Please! Diane Levin, arugable the best blogger in the ADR field, has been listed in the ABA Blawg 100 of 2009. Please vote for her, apparently they will not give her #1 automatically for some odd reason! For those that do frequent her site, you will already know how her site is great and deserves the number one spot. 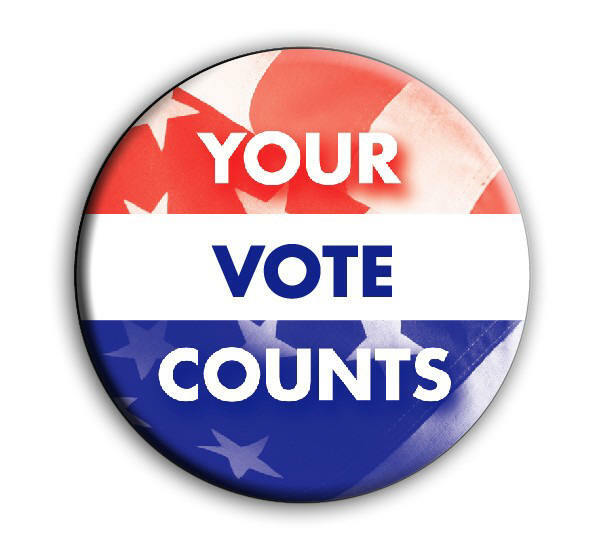 How do you vote? It’s simple, just go to her site [here] and follow the directions. Thank you for helping, and thank you for voting! BofA: A ‘Bad Faith Negotiator’ During Mediation? Senate Majority Leader Harry Reid pointedly criticized Bank of America today for not doing enough to help Nevada homeowners during the mortgage crisis, warning that the company must bring more resources to the state or face public scrutiny. …Reid goes on to scold the company for its performance in the state’s new foreclosure mediation program. Of the eight mediations involving B of A since the program was launched this year, seven resulted in the mediator’s conclusion of “bad faith” on the part of the B of A representative, the senator wrote. After bridge explosions, Venezuela’s Hugo Chávez and Colombia’s Alvaro Uribe agree on one thing: current conflict won’t be resolved without outside mediation. No two leaders in Latin America mistrust each other more than leftist Venezuelan President Hugo Chávez and conservative Colombian President Alvaro Uribe. The relationship between the Andean presidents, always tense, has been in a down-spiral since Colombia announced a plan in July to grant US troops expanded access to its bases. FRANKFURT — The German government has appointed a “credit mediator” to foster dialogue between banks and small and medium-sized German companies that have insufficient access to credit, Germany’s Economics Ministry said Wednesday. Hans-Joachim Metternich will be based in Frankfurt and companies can apply for mediation starting from March 1. He is currently spokesman for the management of ISB, the Investment and Economic Development Bank of Rhineland-Palatinate. The Clark County Neighborhood Justice Center has a staff of full-time and volunteer mediators all with one goal in mind — bring people together to resolve disputes in a collaborative rather than an adversarial setting. But its biggest selling point of all is it’s free. No wonder the number of cases handled by the center has risen by 26 percent over past year. …Lately, the center has been seeing a lot of cases in which landlords and tenants are at loggerheads. You are currently browsing the Enjoy Mediation blog archives for December, 2009.